Commentaire A minimum of 2 persons are required for this activity and a maximum of 6 are allowed. 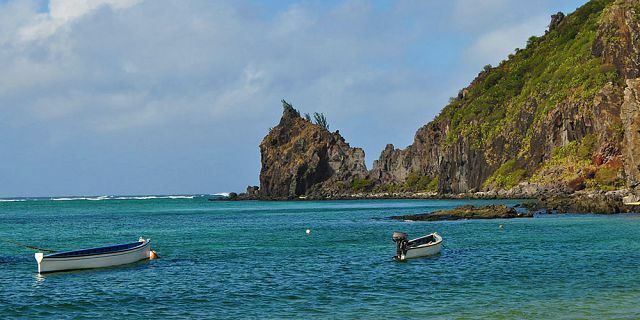 Enjoy a guided hike and a marine snorkeling adventure in Rodrigues- a real treat for nature lovers. 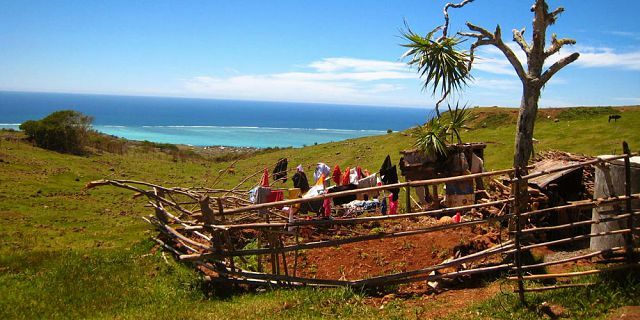 Hiking in Rodrigues will give you a much-needed break from the strain of day-to-day life and urban commotion. 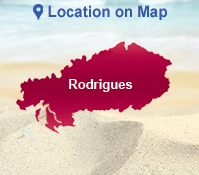 If you are looking to unwind and rejuvenate yourself in a beautiful, serene environment, then the unspoiled natural scenery of Rodrigues will be perfect for you. The serenity, the authenticity and the well-known hospitality prevailing on the island makes it a wonderful location for relaxing vacations. 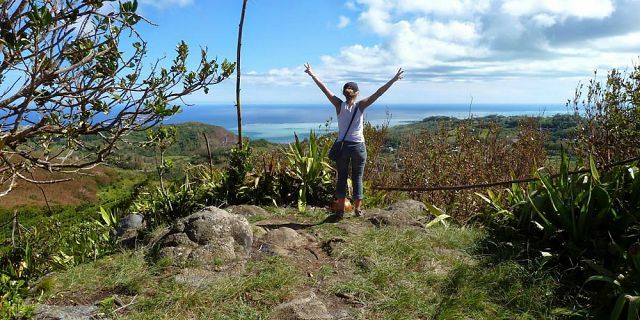 Start your discovery adventure in Rodrigues with a 3-km guided hike from Roche Bon Dieu to Rivière Banane in the company of a dedicated, friendly guide. 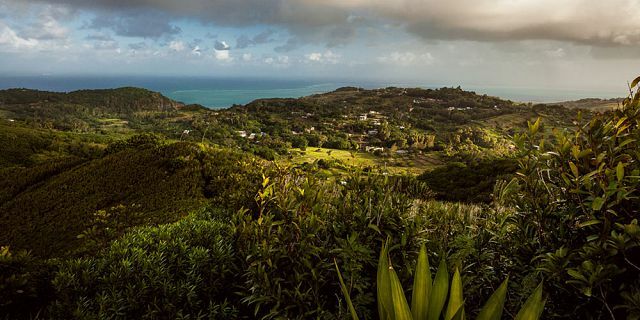 You will also have the opportunity of admiring the splendid geography of the island. 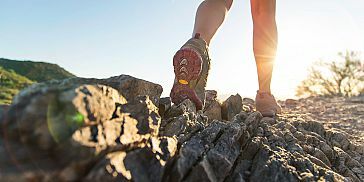 The guided hike will be fairly easy, as it excludes steep fields, but you will come across a few ups and downs along the hilly terrain which will ultimately contribute in making your journey more fun. 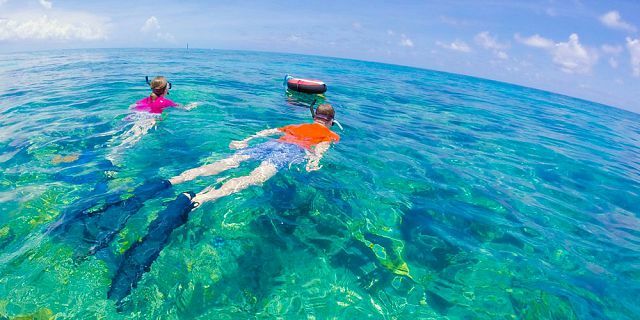 Admire the clear lagoon surrounded by low coral cliffs, white sandy beaches and luxuriant casuarina forests as you walk by and eventually reach Rivière Banane, where you will get to enjoy a snorkeling session in the Reserve’s aquarium. 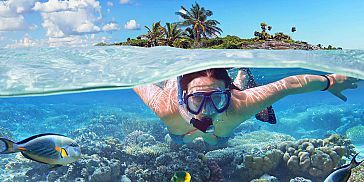 Snorkelling is one of the best ways to view the wonders of the sea and its panorama of colourful, exotic creatures. It opens the incredible underwater world to people wishing to explore it in a simple and safe way. All the necessary snorkeling equipment will be provided to you on the spot and then you’re all set for an amazing underwater adventure! 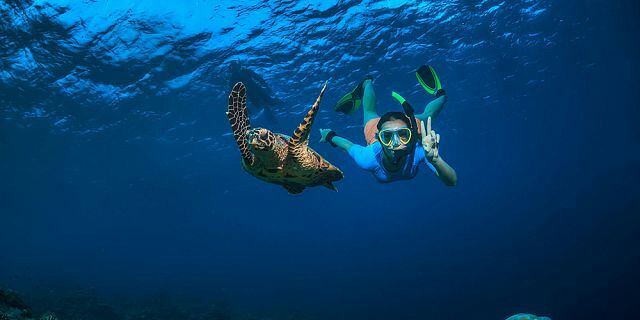 Explore the marvellous, well-preserved Rodriguan marine environment that includes around 280 species of coral, an impressive array of marine life such as rays, jack fish, turtles and other exotic aquatic creatures. 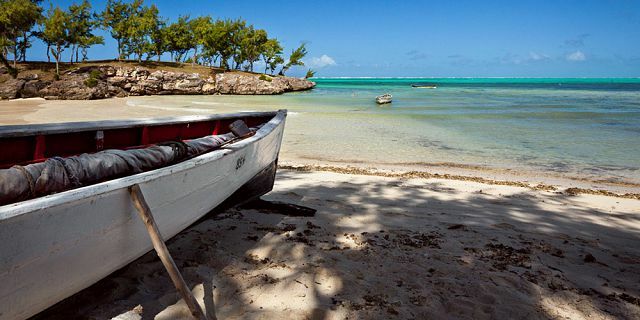 After your snorkeling session, you will cruise along the Northern coast of the island, back to Port Mathurin. 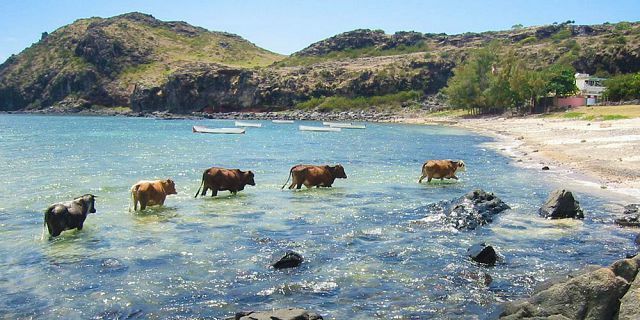 The Rivière Banane Marine Reserve is located in front of the village of Rivière Banane on the North-East coast of Rodrigues. 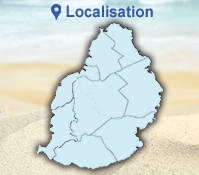 The Rivière Banane site was specifically selected to include the special “Aquarium” area which contains good numbers of commercial and other fish species. This site was seen by fishers and scientists as a good potential source of fish larvae that could replenish surrounding areas if left un-fished. 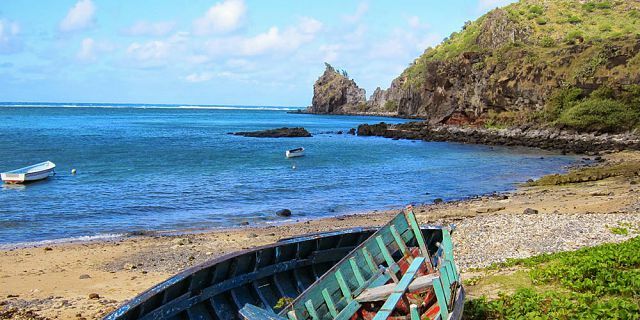 Lying on the north coast of Rodrigues, Port Mathurin is a beautiful village that serves as the capital as well as the main harbour of the island. Unmissable sights include its lively market and a splendid viewpoint on Mount Fanal, amongst others. 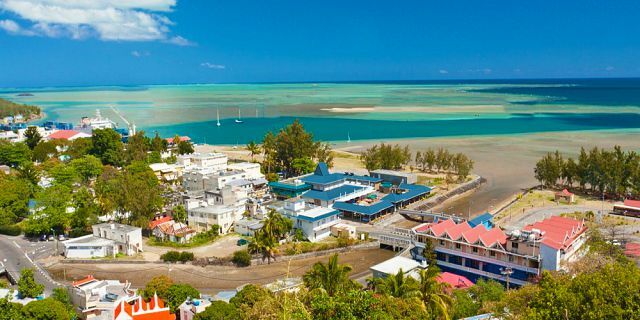 The main attraction of Port Mathurin is naturally the marketplace or “bazaar”, which features a colourful display of local handicrafts such as basketry, hat making, textile based handicrafts, embroidery, coconut craft, jewellery, souvenir articles, wood carving, straw crafts, in addition to paintings from local artists. What you should bring: backpack, bottle of water, sports shoes, swimsuit, towel sunscreen, hat, mosquito repellent, a camera. The activity time will be communicated a few days before. In the event of inclement weather, the guide may decide to alter the schedule. Children must remain under the supervision of their parents/ guardians at all times.